Pretty Little Things: First Post for OUAS!!! Happy Sunday to all of you! I'm very excited to share with my first layout for Once Upon A...Sketch. 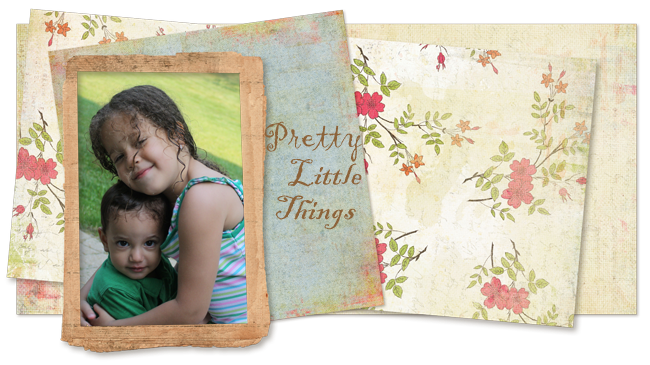 This month's theme is 'Friendship' and this is the page I created using Nadia's wonderful sketch and a photo of Emily and our new puppy, Ruby. Ruby turned out to be such a sweet puppy and she follows Emily around for constant cuddles, so cute! 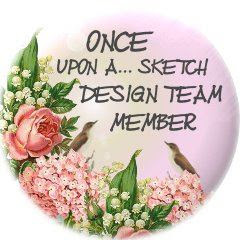 Please join us at Once Upon A...Sketch blog for amazing inspiration from the rest of the DT members and hopefully you'll play along with us. It's great fun seeing everyone's interpretations of the sketch! 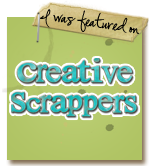 Hi Jolaine, totally gorgeous page, your scrapping style is so beautiful! Woweee! 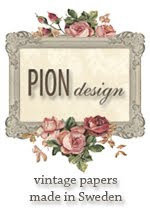 Both your page and your photo have got me smitten. So beautiful!